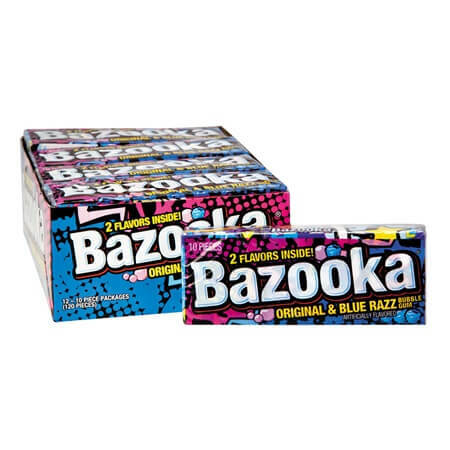 Bazooka Original Flavor Gum Pack comes with ten pieces in each pack and in two different flavors including original and blue razz. Our wholesale gum is packaged in a bright, colorful wrapping ideal for gaining extra attention on candy racks, in concessions stand candy displays and in treat bags as party favors for birthdays and other special events. 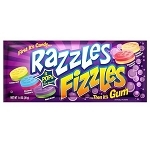 This bargain candy is just what you are looking for when you need to add a little retro appeal to your parties. Order your classic bubble gum today!